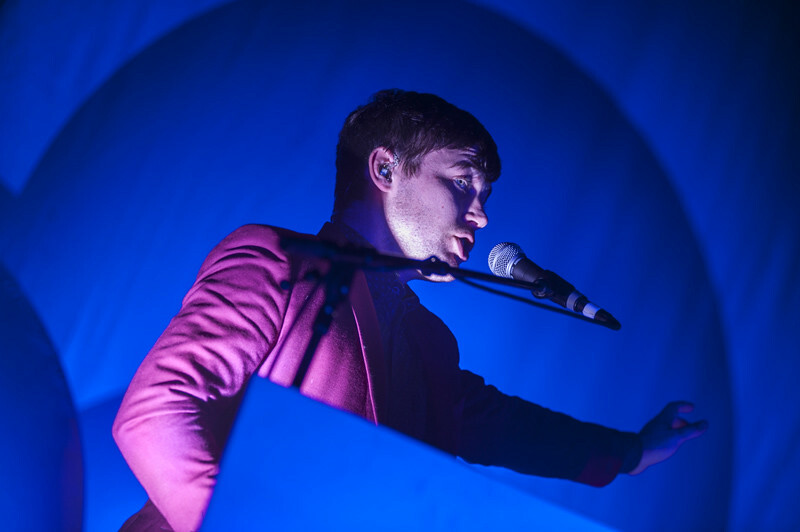 Tim Boddy describes Metronomy's headline show at O2 Brixton Academy while getting all narcissistic about his own life - in conjunction with O2 Blogger. You know how you reflect on the person that you used to be from say seven/eight years ago? The way you acted, presented yourself, the things you liked. It's often like viewing an entirely different person through some mind-bending filter. And so it applies to musicians and their career trajectory not surprisingly as they are all human beings after all (mostly). It's hard to believe that Metronomy's scatty instrumental debut album Pip Paine (Pay The £5000 You Owe) from 2006, and their fourth and recently released melancholic LP Love Letters are from the same band they're so different. Tracing things back from album to album the transitions in sound although marked are most certainly organic - it's only hugely noticeable when looking back to the start. The bubblegum synth-pop ravey nature of Nights Out that soundtracked my own nights out while a student, to The English Riviera where they matured in sound alongside Joseph Mount's songwriting as I myself grew up (somewhat). They've changed and evolved as I have. The quintessentially English four piece have also become rather huge in stature during that time - I first saw them support CSS of all people at The Coronet to a half-interested crowd; and tonight here they are selling out O2's Brixton Academy to a fully attentive Friday-night crowd in the capital. Gone are the somewhat gimmicky - though I admit genuinely fun - synchronised dance moves and white flashing LED lights on their chest of old ("I really fluctuate between feeling kind of embarrassed by it, in a way, and feeling like I wish we'd continued it" said Mount recently), and here they are in dapper maroon lounge jacket-attire, all grown-up behind their mic stands doing too much live to warrant crazy dance moves or to sport distracting body lights. Instead they are surrounded by a marvellous set design consisting of an expansive backdrop - vivid cartoon colours in cloud-shaped form immersed in deeply colourful lighting. So pretty. Befitting the love induce pop songs of their creation that's for sure. A triptych of current album tracks open their set starting with the skinny, minimalist tones of 'Monstrous' and ending in 60's harmonic delight via 'Love Letters'. Being a Friday night and starting with newer tracks we've thus got a bit of a chatty crowd in our midst, but as soon as the unmistakable seaside synths from the intro of 'The Look' surface we get a delightful round of woops and now have ourselves a little party on our hands, with Brixton feeling more engaged. Inevitably past hits are always more enthusiastically received such as 'Radio Ladio', though new numbers like the instrumental 'Boy Racers' in particular sound rather… huge live - bassist Olugbenga Adelekan taking the lead on this as human-teddy-bear Joseph Mount has a breather. 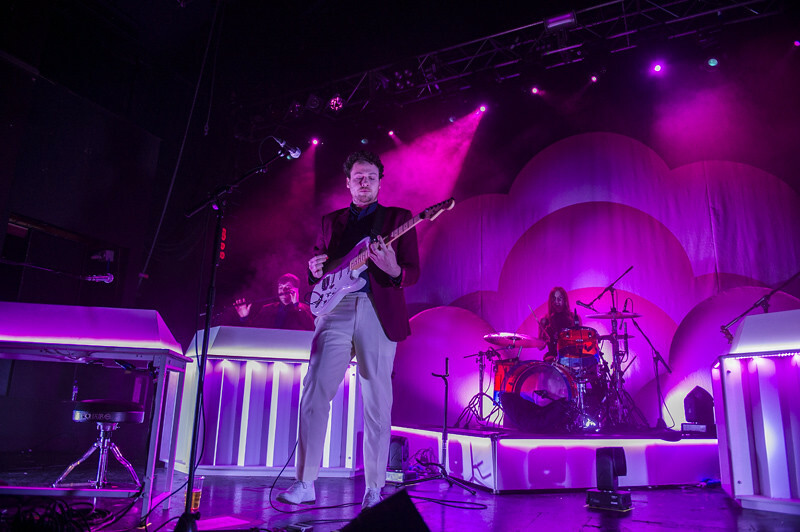 Metronomy are expanded to a five piece on this tour - with Michael Lovett of NZCA/Lines-fame bolstering the live line-up playing synths and guitar; and helping out as the entire band does during the mellifluous, delightful "doo doo doo waahhhh" Motown vox of 'I'm Aquarius'. However some of tracks from Love Letters do get a little lost as you can sense many present are eager to hear their favourite classic of old. 'The Bay' eh? Well that brought the place down prior to the encore, and for a moment we're not in any city as mentioned in the lyrics (okay I get we're in London, but I'm not talking literally here people hang on), and we're transported to a higher place in Mount's imagined fantasy party land that is The Bay. Two polar opposites close the 19 track set, beginning with the banger that is 'Heartbreaker' only for a doleful, pining ending with 'The Most immaculate Haircut' closing our thoroughly pleasant evening. And that double header-microcosm sums it all up. 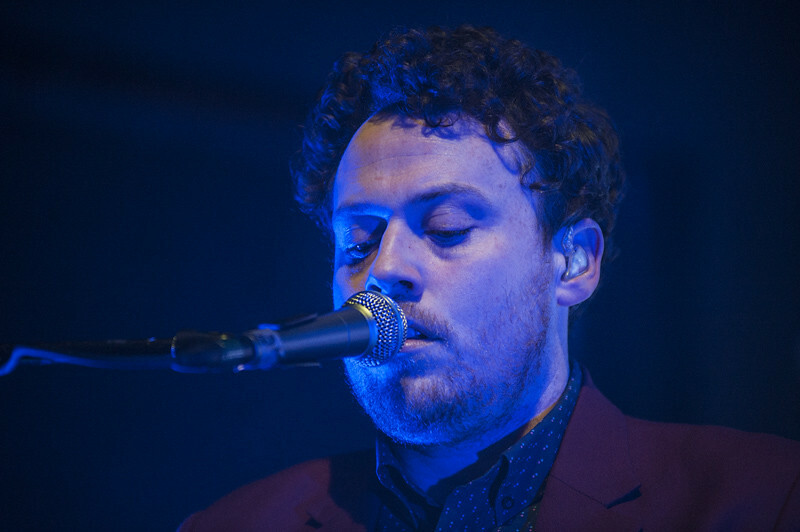 While Metronomy are a wholly different entity from their younger selves stylistically, in terms of production, influences and genre, there is still often very much a common theme: Pop heartache. A self-effacing, self-aware kind of classic boy/girl pop heartache at least anyways. Now I can't bear to check the time"
But normally it's me that leaves her"
Now there's something we can all relate to no matter of where we are in our life. Well, if I'm using my life as a yardstick for everyone's life, which I'm using in an attempt to universally apply a loose theory on being a bit lovesick here. While part of me misses - hell even craves - the wilder nights out of my younger self it's also nice to appreciate the more sedate, possibly more cultured, but most certainly more reflective side of life. The side that Love Letters and to a lesser extent The English Rivera represent. The set is a journey through all these facets yet also a reminder that it's not too late to enjoy a good party; a party still fixated with pining after 'the one' - though as long as it entails getting to bed before 2am, possibly with your love interest, but substituting cocoa for gin and hard drugs.